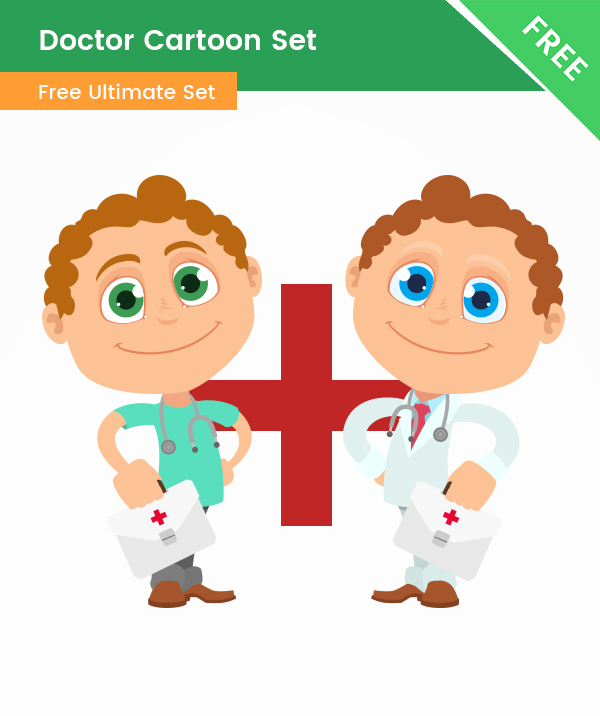 A doctor cartoon character available in 2 different transparent pictures. This cute little doctor is dressed in different medical scrubs. He is smart, charming and friendly. This cartoon doctor is perfect for medicine related and healthcare designs. He will definitely grab the attention of your audience.